‘Noosphere’ is a word of Greek origin, often having been described as ‘the sphere of human thought and consciousness”. This community, built around that concept, is a celebration of intellectual curiosity, stimulating dialogue, fellowship, civility, humor, and a shared sense of wonder about the human experience. If you share our love of and fascination with Science, Art, Technology, Music, History, Culture, Philosophy and innumerable other meaningful topics, we invite you to join our sphere. If you’re interested in learning more about this unique website and community, we encourage you to visit and read ‘About TN’. BGObsession is the home of the most intelligent community of Washington Redskins fans on the web. For the Burgundy and Gold Obsessed, there’s no better place to discuss your favorite team. Whether it’s BGO’s outstanding member-written blogs and articles, our discussion boards, breaking Redskins news, our famous Game Day Chats, or other features like our BGO Arcade, Media Guide Library, or Video Archive, there’s no NFL fan site like it. Hail! Want to learn more about BGO? Visit our ‘About Us’ page. The Om Field is one of the best fan-written sports blogs on the web. Featuring long-time Redskins blogger Mark Steven, the Om Field always offers a literate, insightful, and (dare we say) poetic look at all things ‘Redskins’. Steven honed his craft during more than a decade as primary staff writer for Extremeskins.com. His work has appeared in numerous web-based blogs, journals, and websites including Hail! Magazine, and of course, currently here at BGObsession.com. If you’re looking for intelligent, beautifully-written Redskins analysis, look no further than The Om Field! Skinscast is a great weekly Redskins web and podcast. This group of guys, including John Pappas, Brian Reffkin, and Brian Murphy, grew up rooting fanatically for the Washington Redskins. Bringing insight and insider knowledge that can only be gained by being inside the locker room, the Skinscast crew has over 60 years of combined Redskins coverage experience. This mix of experience and inside information combine to make Skinscast the ‘can’t miss’ Redskins podcast. 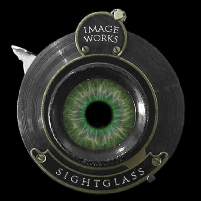 Sightglass Imageworks is a photographic conversion site specializing in colorization of classic black and white images. Owned and operated by the incredibly talented Peter Felice, Sight Glass Imageworks performs photographic magic, transforming archival images pixel by pixel to beautiful color format. Available for private or commercial work, we highly recommend Sight Glass Imageworks. Even if you aren’t interested in converting your own family photos, take a moment to check out Pete’s amazing work! Northern Brewer is a homebrewing supply site that specializes in equipment, supplies, and beer and wine making kits from beginner extract to complex all-grain recipes. Featuring outstanding customer service, a wonderful Discussion Forum, and a wealth of tools to help the novice homebrewer learn their craft, Northern Brewer is simply a wonderful company. Always wanted to start brewing your own beer or make your own wine? Northern Brewer will help you make it happen. Beesource is humming with great information about beekeeping! Whether you’re starting your own apiary, or an experienced beekeeper trying to expand or share your knowledge, Beesource is an amazing site. Check out the Beesource Forums and converse on any topic with experienced, knowledgeable beekeepers. A honey of a site!